All children in Forsyth County deserve the opportunity to succeed in school and in life. High-quality Pre-K programs help children enter kindergarten ready to achieve socially, emotionally, and academically. 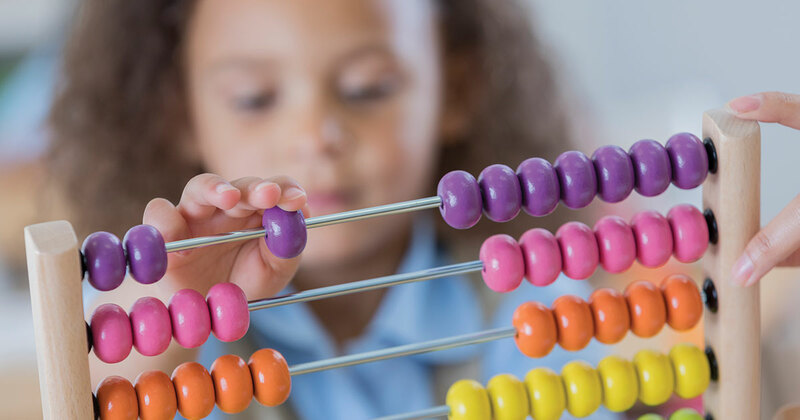 Extensive scientific research and economic analysis over the past forty years have shown high-quality Pre-K programs to be wise investments that close educational achievement gaps and improve health and well-being far into adulthood. The first five years of life are critical for the construction of the physical architecture of the developing brain. Because brains are built in stages, with more complex structures built on simpler structures, it’s crucial to get the early years right. Think of building a house: before framing the walls, a foundation has to be poured. Before wiring the house, walls and floors need to be built. Our brains are also built in sequence, and early childhood is about laying a solid foundation to serve as a base for later development. But children can’t build strong brains by themselves—they need positive, nurturing relationships with trusted caregivers to support their development. High-quality Pre-K programs provide an enriching environment that stimulates brain development, promotes learning, and fosters the social-emotional stability that is a prerequisite for success in school and later life. Dr. Kenneth A. Dodge knows this better than most. He is the Pritzker Professor of Public Policy and Psychology and Neuroscience at Duke University, and the founding and Emeritus Director of the Duke Center for Child and Family Policy. When Family Services asked him to be the keynote speaker for this year’s “Raising Every Child” benefit event on May 22nd and 23rd, he didn’t hesitate. As this year’s speaker, Dr. Dodge will talk about his groundbreaking research involving more than 1 million North Carolina children born between 1988 and 2000. The study was featured on dozens of local, regional and nationwide news outlets, including NBC Nightly News with Lester Holt, that the benefits of quality pre-kindergarten do indeed last a lifetime. There is no “fadeout.” In fact, results show less grade retention, fewer special education placements and gains in reading and math that are measurable at least through the end of 8th grade. We hope you will join us as we learn from this nationally respected researcher who has concluded that that the more North Carolina invests in quality Pre-K education, the better our children will fare. A limited number of tickets are available at RaisingEveryChild.org. In addition to hearing from Dr. Dodge, you will learn more about Forsyth County’s Pre-K Priority, PreKPriority.org—a movement led by a group of 60 early childhood development professionals who have come together during the past five years to make high-quality Pre-K programs available to all four-year-old children in Forsyth County. Forsyth County is poised to provide affordable options that will allow all families the opportunity to enroll their four-year-old children in a high-quality Pre-K program. To offer options responsive to the needs and preferences of families, our current Pre-K system will require improvements in quality, added capacity, the alignment of program models, and the establishment of a central administrative structure to ensure uniform practices.